The Canadian based smartphone manufacturer RIM launched its tablet, the PlayBook, last spring that runs an operating system different from BlackBerry’s other devices. The device is based on QNX, an operating system that will serve as the backbone for the next generation of BlackBerry devices, planned for this year. 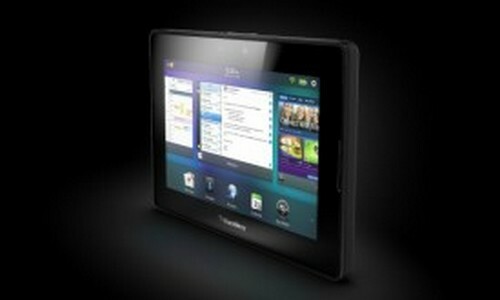 The company confirms the upgrade right after the PlayBook software to version 2.0. At the time of its launch, the tablet was criticized for not offering native email or calendar apps. Also, the tablet required to wirelessly pair with a BlackBerry phone to use those features. PlayBook 2.0 offers those features natively along with other improvements. According to Orr, good number PlayBook owners have preferred to upgrade to the new software, calling the up-take rate “astonishing.” Furthermore, the company announced that over 50% of PlayBook owners upgraded to version 2.0 on the very first day of release. Have you got your pack of PlayBook? Did you upgrade to 2.0 and if you did how it worked for you? What you can expect to have in the forthcoming BlackBerry 10. Share your though with us in the comment section.